Purple coneflower, Echinacea purpurea, is commonly known as Echinacea. The plant may also be referred to as the Eastern Purple Coneflower. The plant can be naturally found in the Midwest portion of North America. However, it is also found in eastern North America, as well. The flower thrives in a moist environment. While the plant prefers moisture, it can also be found in dry prairie land, as well. Purple coneflower has been known to withstand drought once it is established. The flower prefers direct sunlight and cannot tolerate the shade. Purple coneflowers grow naturally in open wooded areas. The plant has beautiful purple petals with a brown, spiny pistil or middle portion. The petals often droop to the side of the spiny, cone-shaped middle. The leaves of the flower have a rough texture and also possess small hairs. However, they do not always have hairs. The leaf blades may have 1 to 5 nerves present in odd numbers. Visitors of their habitat can often find the flowers swaying in the wind in the meadows or prairie land. The plant typically reaches up to 140 cm in height. The purple coneflower is hermaphroditic, which means that it has both male and female parts associated with the plant. Bees and butterflies contribute to the pollination process. The flower thrives when the daily temperature fluctuates. Seed germination is best promoted in this type of environment. Echinacea has many wonderful medicinal properties that boost the individual’s immune system. The plant has also been known to work as an anti-depressant. Purple coneflowers can be found in the Ateraceae family. The flowers are herbaceous plants. Echinacea is a genus of nine species of this particular family. The name originates from the Greek word “echinos” which means hedge hog. The name refers to the spiked middle portion of the flower. “Cone Flower”, the common name, was given because the middle portion resembles a cone when the petals fold downward. The plant blooms in early to late summer. The flower reseeds in the fall. Though the purple coneflowers primary use is for medicinal purposes, many people also use the attractive plant to adorn their gardens, as well. Purple coneflowers generally have long lives. Historically, the North American Plains Indians utilized the purple cone flower or Echinacea for medicinal purposes. 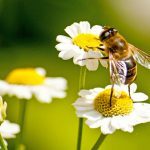 Historians have found evidence that pointed towards using the popular flower for snakebite, anthrax and pain relief. Kiowa and Cheyenne tribes used the flower for coughs and sore throat ailments. The Pawnees used the flower for headaches. The Sioux tribes, along with countless others, used the flower for an analgesic. The Native Americans discovered the medicinal plant after observing the elk in the wild. After being wounded or when sick, the elk would seek the plants and consume them. By the 1930s, Echinacea became a popular remedy in several regions, including Europe and North America. Long before pharmaceuticals were introduced into modern society, herbal remedies played a role in the lives of historical beings. Though most pharmaceuticals originate from herbs, most Americans and some other modern cultures prefer the use of pharmaceuticals to herbs. Recent research in Europe has prompted many modern cultures to reconsider the healing powers of plants in their natural form. Myth: Echinacea could be toxic to the liver due to alkaloids. Fact: Echinacea only contains minimal amounts of alkaloids. Therefore, it is non-toxic to liver unless consumed in extremely high doses. This fact was confirmed in the Bauer and Wagner study of Economic and Medicinal Plant Research. Myth: Echinacea loses its effectiveness after 5 days of consumption. Fact: According to a German study in 1989, a residual lingering effect occurred after its usage for approximately 2 days. During consumption, the phagocytosis process increased. After a 7 day period, the phagocytosis levels returned to normal. Myth: Echinacea does not significantly reduce fever durations, symptoms or the effects of upper respiratory infections. Fact: In 2003, the Journal of American Medical Association proved that purple coneflower or E. purpurea considerably reduced the effects of upper respiratory infections in children. Furthermore, studies show that Echinacea decrease the possibility of onset of future respiratory infections. This was determined after a 4 month trial. Myth: Echinacea may exacerbate conditions such as tuberculosis, multiple sclerosis, AIDS, HIV and other autoimmune diseases. Fact: There is no conclusive evidence. However, in rare instances, people with these conditions have experienced side effects. In 1995, the Modern Phytotherapist suggested that individuals with these conditions may experience an inappropriate response due to the infectious microorganisms associated with the diseases. However, Echinacea may be helpful in eliminating the presence of some of these micro-organisms. Though there is no evidence indicating negative effects, physicians strongly advise this group not to use Echinacea. Myth: Echinacea promotes birth defects in infants. Fact:According to an article in the Archives of Internal Medicine, there is no conclusive evidence that Echinacea is associated with an increased risk of birth defects. Echinacea improved the symptoms of upper respiratory tract symptoms of over 80 percent of the pregnant women involved in the study. The study consisted of 206 pregnant women. Studies are still being conducted to determine the effectiveness of Echinacea in fighting cancer. Although, experts suggest that Echinacea may prove beneficial in this role. Many individuals consume Echinacea to boost their immune system and combat fatigue associated with cancer. Hundreds of clinical trials are conducted to prove the benefits of the popular herbal remedy. The process of making Echinacea is difficult to control because of the extraction method. This phenomenon is due in part to the contamination or other factors may degrade the potency of the herb. Individuals who desire to make Echinacea at home will most likely form a tincture. A tincture is a liquid form of a herb used for medicinal treatment. To preserve the tincture, glycerin, alcohol or vinegar is used to make it potent for up to two years. Echinacea is easy to grow at home. Because the plant is easy to grow, individuals often keep a ready supply in stock. The tincture is also easy to prepare as well. 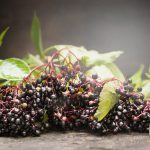 Aside from Echinacea leaves and alcohol, a glass jar, sieve, cheesecloth, and a storage container with a dropper will be needed for making a tincture. Experts recommend brandy, vodka, or rum as the alcohol ingredient. The leaves are chopped and placed into the glass canning jar. The leaves are covered with alcohol to cover the crumbled dried leaves. The mixture is stored in a dark place for two weeks. The jar should be agitated every couple of days. Check the alcohol levels as they may absorb the alcohol. Add more alcohol as needed. After two weeks, the mixture should turn brown. Place the cheesecloth in a sieve. Then pour the mixture into the cheesecloth to extract the liquid. Store the liquid in a dark brown eyedropper bottle. The alcohol should preserve the liquid for at least two years. To make a tea, the leaves should be crumbled in a sieve containing a cheesecloth. Hot boiling water should be poured over the leaves. For best results, the leaves will steep in the water sit for 5 minutes. Then, the straining process will be completed. The concoction may be consumed with lemon or honey to enhance the flavor of the Echinacea tea. If the leaves are dried, two teaspoons are required to make a herbal tea concoction. If the leaves are fresh, a quarter cup of fresh material is used. Bark or seeds may also be used, if the recipe calls for it. 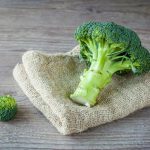 Two teaspoons of seeds are recommended for the best blend and also, 1 tablespoon of bark. The pill form of the product must undergo a pharmaceutical process to formulate the pill form from extracts. Most individuals are not equipped to make the pill form of Echinacea at home. Though, home pill processing is possible by a skilled individual. Germany has been the leader in research relating to Echinacea’s benefits. Though Americans have preferred antibiotics, Europe is a strong believer in the healing powers of Echinacea. Experts have deemed Echinacea as a natural antibiotic, because it suppresses a virus’s activities. In addition to phenols, Echinacea also contains flavonoids, copper, iron, iodine, potassium, and vitamins A, C, and E.
Echinacea is not recommended for individuals who have HIV, multiple sclerosis, or tuberculosis. Echinacea may cause the blood to thin and may exacerbate problems such as, HIV. Currently, there are three varieties of Echinacea. Each plant functions to promote a healthy immune system and fight infection. Most varieties of the plant will shorten the duration of a common cold. Echinacea serves as one of the most popular remedies for respiratory illness. Consumers of the Echinacea product are recommended to select a product with standardized extract. Standardized extract ensures that the individual is receiving a controlled dosage of the herbal remedy. High levels of Echinacea are also found in standardized extract. Large traces of Echinacea improve the potency of the herbal remedy. Most Echinacea tinctures are made with alcohol for preservation. To avoid drug interactions, experts also recommend alcohol free Echinacea. This form of Echinacea may be found in stores or online. Check the label for an indicator. Quality of Echinacea products differ based upon the ingredients. Some patient’s bodies respond better to a combination of Echinacea plants or purple coneflower combined into one dosage. Other patients prefer one single type of Echinacea plants. Consumers are encouraged to find the correct combination that works for them. Echinacea is available for consumption in pill form, standardized extracts, tinctures and tea. Pills are often the most reliable dosage of the product. However, the other forms are equally effective. Pills should be taken with water and in the recommended dosage on the manufacturer’s label. Liquid forms of Echinacea should be measured according to the manufacturer’s label and taken as directed. Echinacea leaves can be brewed to form a tea for drinking. Topical Echinacea should be applied externally to the wound or affected area. Patients are instructed to not use the different forms of Echinacea together at the same time. 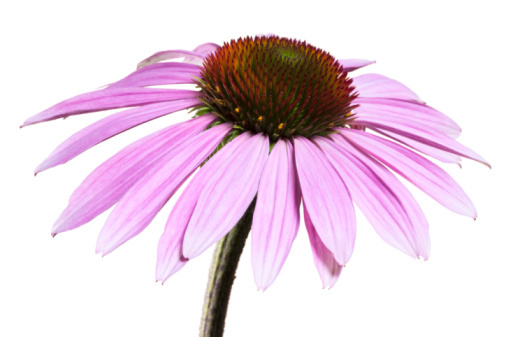 For instance, a topical dosage of Echinacea should not be combined with an oral dosage. Only a physician can recommend various combinations. To maintain the effectiveness of Echinacea, the product should be stored away from direct light. A cabinet with closed doors is an ideal storage spot. Patients who take Echinacea for the common cold should take the herb as soon as the symptoms surface. Experts recommend patients take Echinacea three weeks at a time. 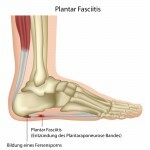 After the three week period, the patient should rotate to other herbs designed to boost the immune system. 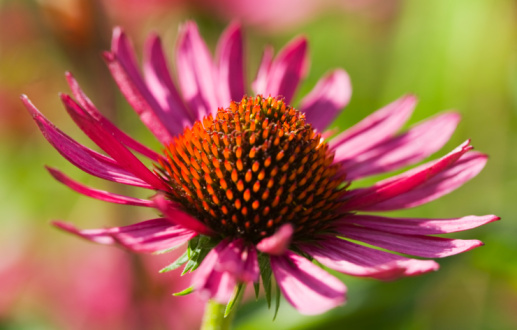 This process will help patients avoid negative effects associated with Echinacea. Consumers should follow the manufacturer’s guidelines on the label, because the product varies from manufacturer to manufacturer. Herbs are difficult to control and there are no universal standardized dosages for the herb. The dosages vary in terms of active chemical composition. However, the most effective forms of Echinacea contain at least 3 grams of the herb. This recommended dosage should be taken daily for the most benefits. Patients who are suffering from multiple sclerosis, AIDS, leukemia, tuberculosis, or rheumatoid arthritis and lupus are strongly urged against taking Echinacea. There is no conclusive evidence to support the claim. 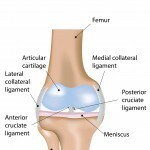 However, physicians prefer to err on the side of caution to avoid any complications. The body’s production of white blood cells or T-cells may exacerbate these conditions. The medication should not be taken for more than 10 days in a row. Children between the ages of 1 and 12 should not take the medication. Echinacea’s effects on the immune system of children are not well documented. Therefore, to avoid unpredictable complications, it is not recommended for that age group. Pregnant and lactating mothers should also not take the herb to avoid complications with the unborn fetus or infant. Echinacea may interact with other medications. 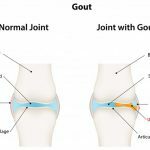 If the patient has any other concerns, it is recommended to consult a physician or a homeopathic specialist to determine the appropriate regimen for the patient. The most active and immune enhancing ingredients are polysaccharides, alkylamides, caftaric acid and cichoric acid. Each phenol compound is commonly found in many of the purple coneflower plants. Other phenol compounds include echinacoside, which is found in species such as E.Angustifolia and E. pallid roots. The base of Echinacea is complex. The chemicals range in effect and potency. Each component serves in stimulation or modulating the immune system. Another popular healing phenol is found in green tea. 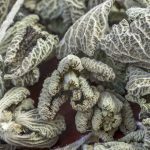 Though it does not originate from the popular purple cone flower, the tea has been known to reduce cancer, coronary heart disease, diabetes, liver disease, weight loss, reduce stress, and prevent fatigue. Because of the antioxidants people who consumed green tea survived longer than those who did not. Green tea neutralizes free radicals known to cause cancer. Green tea is popular in Asian cultures traditionally. Recently, it has become more popular in North America. There are no common side effects associated with Echinacea when ingested orally. Some patients may experience asthma, rashes, allergic reactions and anaphylaxis. However, these instances were rare. When tested in clinical trials, patients most often experienced gastrointestinal side effects. However, this side effect was also rare. Some other individuals may also experience headache, muscle aches, nausea, sore throat, upset stomach, dizziness or drowsiness. People who are allergic to daisies, marigolds, chrysanthemums and ragweed are more likely to experience allergic reactions to Echinacea. Individuals with asthma or atopy may also experience allergic reaction more commonly than most. Patients should use caution when ingesting the herbal remedy. Studies have shown that Echinacea can reduce the likelihood of contracting a common cold by more than a half. The same studies conclude that individuals who consume Echinacea will shorten the duration of a cold on average by 1.4 days. Both University of Connecticut and University of Maryland prove this finding in 10 to 14 different studies respectively. Several celebrities have tried alternative methods or holistic medicine which may include the use of Echinacea. Gwyneth Paltrow is a supporter of alternative medicine techniques. Echinacea may have been included in her regimen. Madonna also supports alternative medicine and herbalism of which Echinacea may be a part of her regimen. Most celebrities are supporters of natural remedies and natural practices. Echinacea may be a part of the regimen for many of the celebrities. This method, among others, allows celebrities to maintain their health and physique. Echinacea is also known to assist with weight loss. The cost of the product depends upon the form the individual chooses for purchase. For instance, a pack of 16 bags of Echinacea tea may cost between $3 and $4. Alternatively, the patient may select to purchase the pill form of Echinacea. The price of the pill form varies significantly depending upon quality of the product and the number of pills in the package. In general, 60 1000 mg capsules may cost between $30 and $40 per bottle retail. Alternatively, 100 400 mg capsules may cost an individual between $10 and $12 retail. Echinacea throat spray may be obtained for a similar price. A 2 oz. bottle of liquid Echinacea will run between $10 and $15 retail. The kids’ formula is also available for a similar price. Many of the kids’ products are flavored with peppermint or other desirable flavor to encourage ingestion. Many individuals may find discounts online and in other types of stores. Some herbal remedy clubs also exist. An individual who can secure a discount may receive as much as 60 percent off of the retail price. Many discounts are found online and through GNC type stores. Question…. can hybrids be used for medicinal purposes as well?